A great deal has been written about Groupon’s rejection of a supposed $6 billion offer from Google. Most of the reports breathlessly describe the explosive revenue and customer growth the company has achieved in two short years and what a breakthrough the model represents (an example can be found in John Battelle's hagiographic blog post). With over 40 million email subscribers, Groupon’s success is based on consumers responding to their daily deal emails, and sourcing high-quality offers that compel readers to respond. The story CEO and founder Andrew Mason told in his interview with Charlie Rose last week was that when they offered helicopter flying lessons in one of their daily email blasts, they sold 2,500 in one day. This compares to a business that had acquired only 5,000 customers in its 25 year history. But haven’t we seen this movie before in the world of direct marketing? History has shown nearly every major new direct marketing paradigm sees impressive initial response rates, but depressing response rates over time. For example, when display advertising was innovative in the late-1990s (imagine websites without ads? ), publishers saw click through rates in the 1-2% range, allowing advertisers to be charged a high cost per thousand impression (CPM) in the range of $35-40. Today, iMarketer and MediaMind report that display advertising click-through rates are 0.10 – 0.20% and CPMs of $2-3 – less than one tenth what they were ten years ago. Email has shown a similar sharp decline over time. Average click through rates for the early years of email campaigns in the 1990s were as high as 30-40 percent. Today, they range from three to five percent, again, a 10x drop. Groupon conversion rates, supposedly, are now in the three to four percent range. What will those same response rates to the same consumers look like in five years? Will daily deals follow a fundamentally different model than every other new direct marketing medium? The benefit of being only two years old is that you don’t have a lot of vintage data to analyze. That said, Groupon is building a huge consumer database, a massive set of merchant relationships and a super-talented management team. Just as Amazon and Netflix have innovated beyond their initial model, Groupon has the capacity to replicate these results. But if it the company is going to step into the multi-billion dollar winner’s circle, it will need to find a model that stands the test of time, and the reality of depressing response rates over time. One of my favorite business books of all time is Patrick Lencioni’s “Five Dysfunctions of a Team”. Like all books by Lencioni, it begins with a short fable in a corporate setting of a management team that is operating totally dysfunctionally. 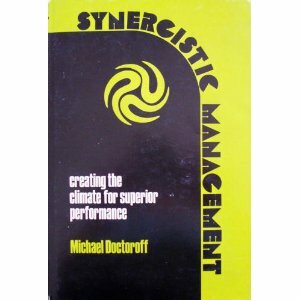 Then, he provides a framework that analyzes the situation and draws out the general lessons as to why teams operate poorly together, and how to systematically combat it. The pyramid below summarizes his advice. Each of the layers of the pyramid resonate with me (which is probably why I have this pyramid printed and hung up in my office), but the one that I always come back to and reread is “Fear of Conflict”. Again and again, I see management teams and boards of directors shy away from conflict. It is quite natural for humans to avoid conflict. In fact, our deeply programmed “fight or flight” instincts are designed to protect ourselves and run away when we sense danger. Interpersonal conflict is a danger we all prefer to avoid as it makes us uncomfortable. Your stomach gets a little queasy, your heart beats a little faster, and you think, “How do I get out of this situation?”. So, you tell a joke. You change the topic. And you feel a sense of relief. Systematic Post Mortems. In my early product management days, I learned the value of the post-mortem – the process of gathering all the relevant team members into the room to talk about what happened after a product ships and why errors or schedule issues occurred. Extending the post-mortem process into all business activities can be very valuable. It allows a clinical, unemotional examination of what has happened, how everyone operated under pressure, and what process improvements can be made for next time. Whether it is done post product release, when an executive team member departs because things didn't work out, after a board meeting in an executive session, or after an investment goes bad, an analytical examination of what just happened is a useful exercise that forces all parties to address difficult issues. Time For “A Millionare’s Pledge”? My father-in-law, Michael Doctoroff, passed away last week of ALS. It's been a sad series of days in the Bussgang household and we are just beginning to recover and transition back into the real world. I am finding that when you lose a loved one, it's hard to make the switch back into our frenetic, exciting, optimistic start-up world. But, we are doing our best and I thought a memorial blog post would be somewhat cathartic. My father-in-law was a remarkable man. He was the middle child in a household with three boys, surrounded on both sides by over-achieving Harvard graduates (one became a judge, the other a successful doctor – the dream of every Jewish mother!). Yet, he charted his own path. Although on paper he had a marvelous career (corporate executive, professor, author of a management book – pictured above), in truth he never found his true professional calling until 16 years ago, at the age of 60, when he founded Trainers Warehouse out of his basement. Don't let anyone ever tell you that you are too old to be an entrepreneur, too old to take the risk of starting your own venture. My father-in-law worked alone and didn't take salary for years and years, eventually building the company into a multi-million dollar leader in the corporate training supplies market. He raised no outside money, located the office 5 minutes from his house and employed his daughter – now president of the company – and wife as well as tens of others. Even while battling ALS, he came to work every day to design creative products for trainers to bring fun and fulfillment into the workplace. Despite his entrepreneurial success, his career did not define him. His relationships with his family and friends are what made him most remarkable. He had an amazing relationship over the course of a 50-year marriage with his wife. Their love for each other through his battle with the disease has been inspiring to observe. He had three lovely daughters (my wife being one of them!) who have happy marriages and functional families as well (coincidentally, each of the three daughters married a college classmate). And he was able to foster great relationships with each of his three son-in-laws – finding special ways to connect with each of us, despite our diverse interests (an entrepreneur-turned-VC, a scientist and an author). I think it is the mark of a great man (in this case, in partnership with a great woman) who can create such a functional set of relationships across their entire family. Fostering close friendships was also paramount to his existence. No less than five people came up to me at the funeral to tell me he was their best friend in the world. In his final months, my father-in-law taught me a lot about grace and courage. ALS is a horrible disease, slowly weakening your body while your mind remains sharp. He was funny, irreverent and attentive to those around him to the end. I don't think I'll ever forget the night he came over our house for dinner, a week before his death, when he drew a bone on his handheld white board (he could no longer speak) and motioned to my dog to see if he could get him to chase after it. At Thanksgiving, he had his three year old grand-nephew chasing his wheelchair around trying to beat him in tic-tac-toe. I feel blessed to have had him in my life. I’m a General Partner at Flybridge Capital Partners, an early-stage venture capital firm in Boston I helped start in 2003. I converted to being a VC, having served as an executive team member of three start-ups over 10 years, including Upromise (co-founder, president & COO, acquired by Sallie Mae in 2006) and Open Market (VP marketing and business development, IPO’96). Prior to becoming an entrepreneur, I was a management consultant with The Boston Consulting Group. That’s where I learned PowerPoint. I received an MBA from Harvard Business School and a BA in computer science from Harvard College – not very creative, I admit. I also co-authored a Harvard Business Review article in the mid-90s on turning the Internet into a business medium. Oracle of the obvious. I can’t seem to stay away from the campus and am helping out as a part-time Entrepreneur in Residence at HBS’ Rock Center for Entrepreneurship.